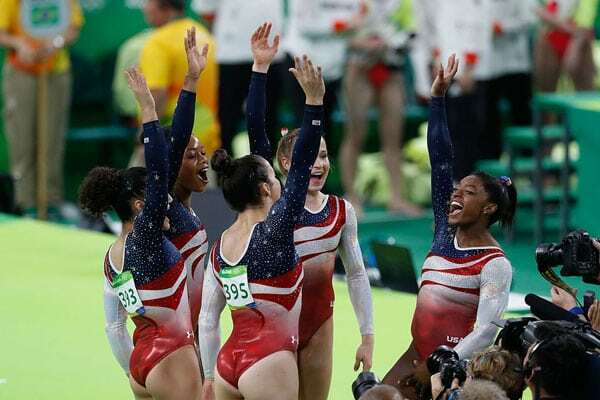 Changing the Script: Can US Women Gymnasts Build a New Sports Culture? Earlier this year in NPQ, Susan Bales wrote that, “Successful movements are about meaning-making.” The ones that succeed, Bales added, “focus our attention on the social systems and structures that need to be fixed by revealing how they impede the outcomes we value.” In the case of the gymnasts, this has required calling out how institutions enabled abuse to occur and persist, as well as working to elevate athletes’ voices and change sports cultural norms. So far, at an institutional level, as Grigoriadis points out, resignations have included “USA Gymnastics president Steve Penny and its entire board of directors; the president of the United States Olympic Committee, Scott Blackmun; and the president, athletic director, and other employees of Michigan State University, where Nassar was an assistant professor of osteopathy and practiced at a sports-medicine clinic.” Earlier this month, too, Michigan State agreed to a $500 million settlement, with $425 million to be paid out to 332 women affected, and the remaining $75 million to be held in reserve for additional possible claims. “And yet we are still in the early days of accountability for this tragedy,” Grigoriadis observes. Even financially, gymnasts still have outstanding claims against USA Gymnastics and the US Olympic Committee. I think there’s a way to make Olympic champions that’s not abusive. Maybe we will go down a little bit in the rankings before we go up just because of the lack of organization and all the things that are going on. The next couple years are going to be stressful for USA Gymnastics and the athletes….But I cannot believe that you have to be sexually, emotionally, and verbally abused to win Olympic medals. We need to have a fantastic female doctor, a couple of them at that. Great female athletic trainers. Massage therapists, female ones. A sports dietician, a really good one, to educate the coaches and also the athletes. Get a psychiatrist that’s completely separate from USA Gymnastics and will keep what the athletes say confidential. The nonprofit USOC waited until the Winter Olympics were over to lose its CEO and commit publicly to ridding itself of a culture that has enabled widespread sexual abuse and harassment against young athletes.